Allen was established in 1870 by a purchasing agent for the Houston and Texas Central Railway and named in 1872 for Ebenezer Allen, former attorney general of Texas and a promoter of the railroad. In 1876 a post office opened there. 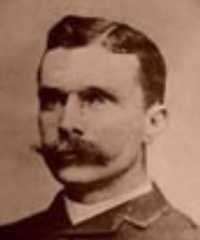 Four years later Denton outlaw Sam Bass supposedly committed the first train robbery in the state at Allen. By 1884 Allen had a population estimated at 350, three churches, a school, a chair factory, and a flour mill. In 1908 the Texas Traction Company built an electric railway through the town. The population had increased to 550 by 1915. In the mid-1940s the number of residents declined to 400, and in 1948 train service was discontinued. Beginning in the late 1960s, however, Allen’s population grew rapidly. Between 1970 and 1980 the number of residents jumped from 1,940 to 8,314. This increase was influ-enced by the economic growth of Dallas and nearby Plano and the construction of Dallas-Fort Worth International Airport. As of the 2000 census, the city had a total population of 43,554. As of 2007, the city’s population was estimated at 77,644. As of April 2010 census, the city’s population is 84,246. The Allen Independent School District consistently ranks among the top 100 in Texas and 85% of high school graduates go on to college. 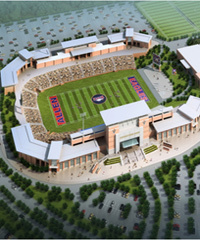 THe school district recently opened a $60 million football stadium, which showcases the largest high school band in the country (600+ members) and the 2012 District 5-A Texas State Football Champions. BIBLIOGRAPHY: Roy Franklin Hall and Helen Gibbard Hall, Collin County: Pioneering in North Texas (Quanah, Texas: Nortex, 1975). J. Lee and Lillian J. Stambaugh, A History of Collin County (Austin: Texas State Historical Association, 1958).